Please join us for the new year! 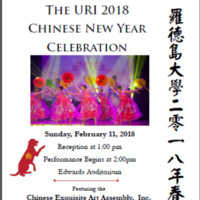 Featuring performances by the Chinese Exquisite Art Assembly, Inc. and URI community members. Reception and hands-on activities at 1 p.m.